Createspace Independent Publishing Platform, 9781500412319, 314pp. The early sixties was a time of making love, not war. Kathleen finds love and starts a war with her family. 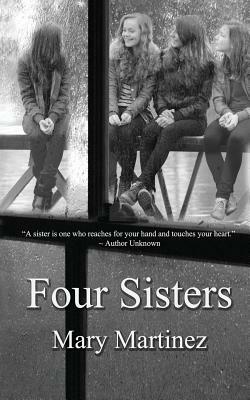 Four Sisters is a story rich in the relationships of Kathleen Williams' life. Kathleen discovers her sexuality in the sixties. She's different from other girls her age and afraid her sisters, especially her closest sister, Deborah, will never understand. When Kathleen reveals her love for a woman, her worst fears are realized-she's banished from her home and family. Forty odd years later, Kathleen is diagnosed with a terminal illness. Susan, her lifelong partner, encourages her to make peace with her family. Kathleen's journey, now, includes rebuilding her relationship with her sisters and parents, as well as the battle of her life. Her only chance for peace is to find acceptance.